Notice how the woman on the left has blacked in the middle part of her eyebrows to form one long eyebrow (or unibrow, if you like). We also saw this in Uzbekistan, where it was considered stylish or attractive. Taken in Garm Chashma, Tajikistan. 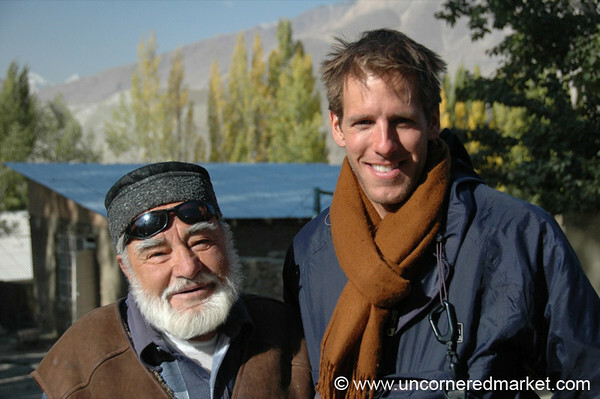 Read about our adventures in the Pamirs. 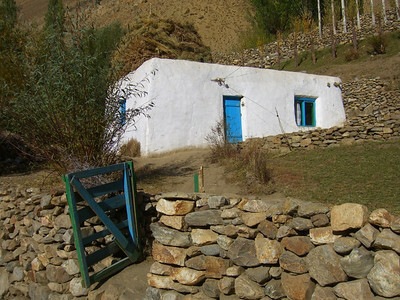 Ishkashim, Tajikistan. 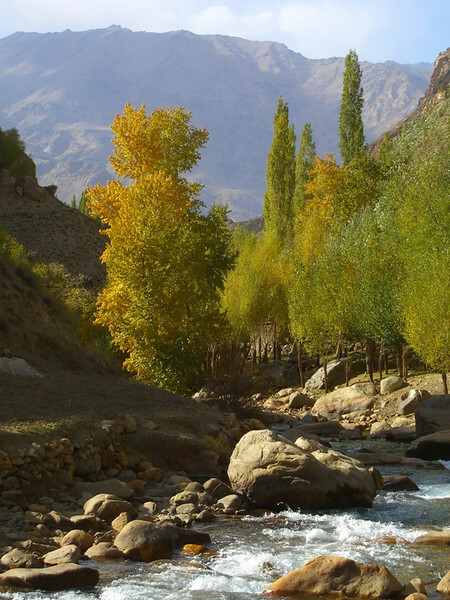 Read about our adventures in the Pamirs. Although it doesn't look like too much from the outside, the inside of a Pamiri house is really unique and is loaded with symbolism. Outfitted in wood, traditional Pamiri houses feature five pillars (representing the five main prophets and pillars of Islam), 13 roof beams representing the seven imams and six prophets of Ismailism, and a lone skylight formed from four concentric squares representing the elements (earth, fire, air, and water). Taken in Garm Chashma, Tajikistan. Read about our adventures in the Pamirs. This group had stopped on the road to help move giant concrete slabs onto a truck. 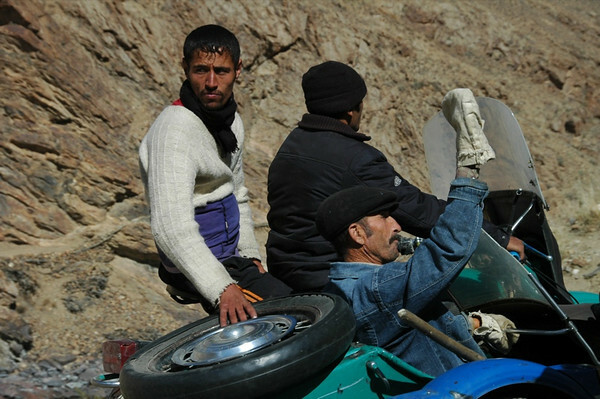 It must be uncomfortable for the guy in the sidecar, going over some of the worst roads in Asia. Taken between Ishkashim and Khorog, Tajikistan. Read about our adventures in the Pamirs. 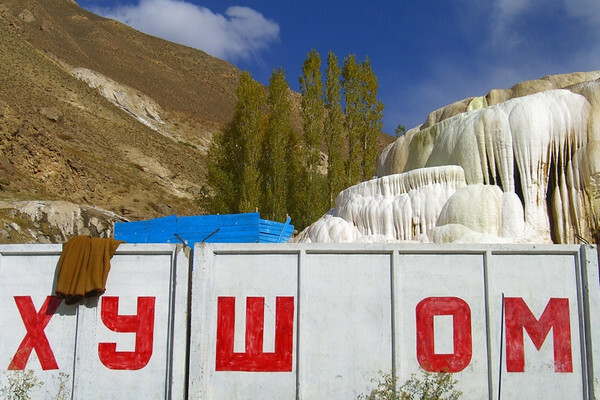 The hot springs in Garm Chashma, Tajikistan provided a place for relaxation and bathing for locals...and ripe tourists who haven't bathed for days. The white cliffs reminded us of the calcium deposits in Pamukkale, Turkey. Read about our adventures in the Pamirs. 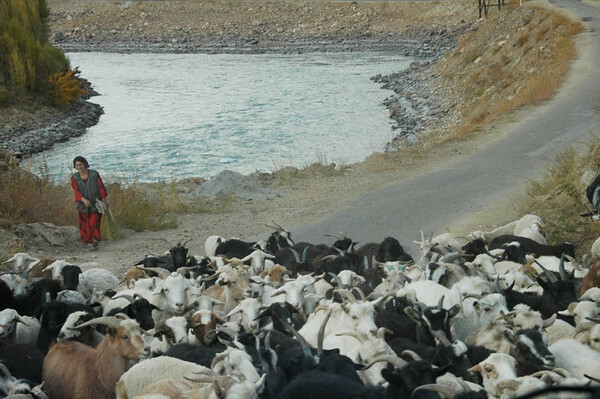 A woman herds her goats back home for the night. Taken near Garm Chashma, Tajikistan. Read about our adventures in the Pamirs. This goat looks like he's lost his way home. 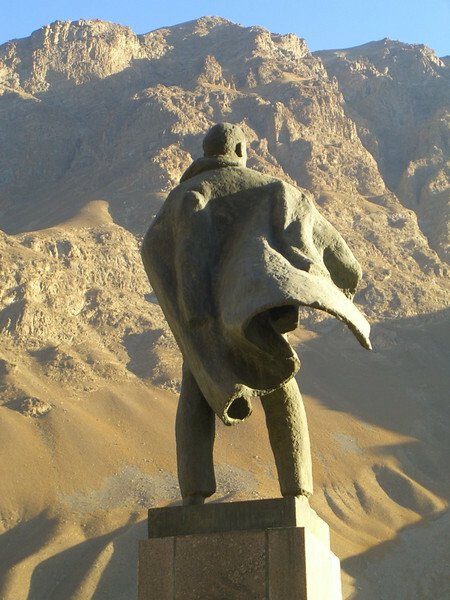 Garm Chashma, Tajikistan. 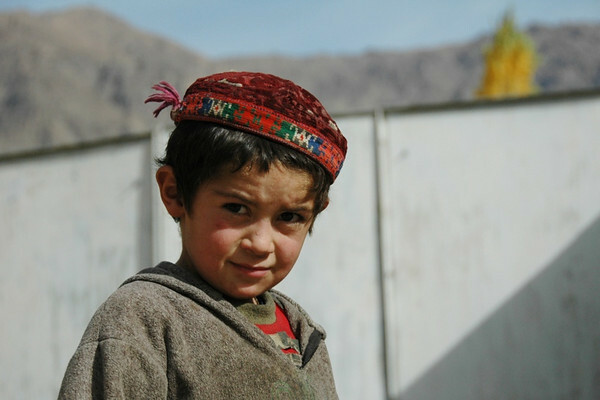 Read about our adventures in the Pamirs. 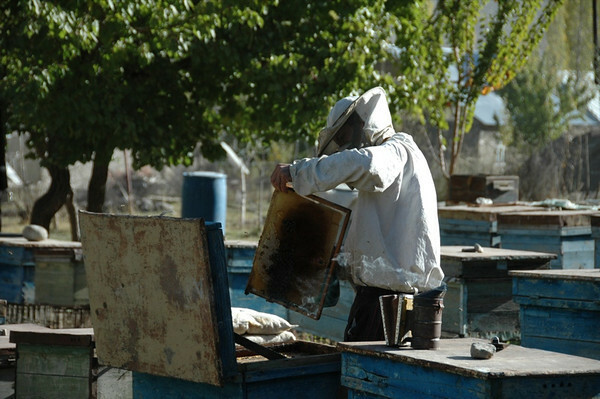 We passed this beekeeper one morning on our way into town and asked whether we could buy some of his honey. That evening, we stopped in and picked up a pound of fresh honey. Dark, strappy and delicious, especially with the homemade yogurt from our guesthouse (Pamir Lodge). Taken in Khorog, Tajikistan. 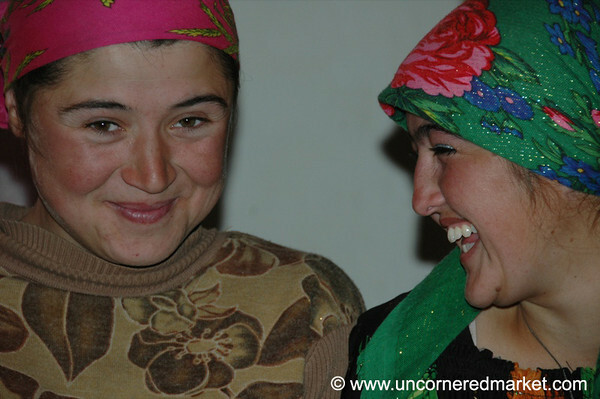 Read about our adventures in the Pamirs. Khorog, the regional center of the Pamirs in Tajikistan, is surrounded by mountains on all sides. Here, Lenin dons a cape and looks ready to plan his escape. Read about our adventures in the Pamirs. 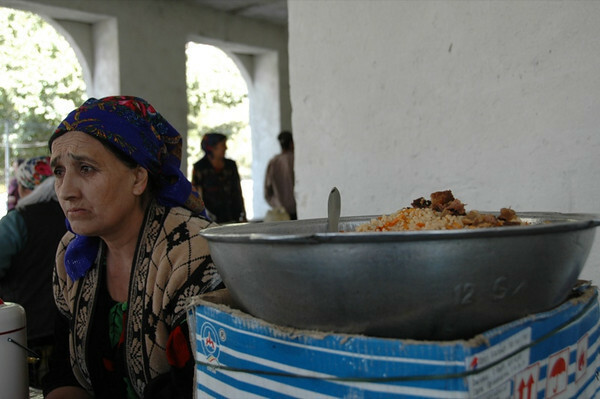 When eating some plov (rice, carrot and meat dish) at this woman's stand in the Khorog market, we asked her about where we could find nahud sambusa (a supposedly famous Tajik chick pea dish). We couldn't find any at the market. She promised to cook some and bring it the next day, but forgot...for good reason - one of her relatives had died the night before. She never forgave herself though and apologized the whole time, as we ate another plate of plov. Read about our adventures in the Pamirs. 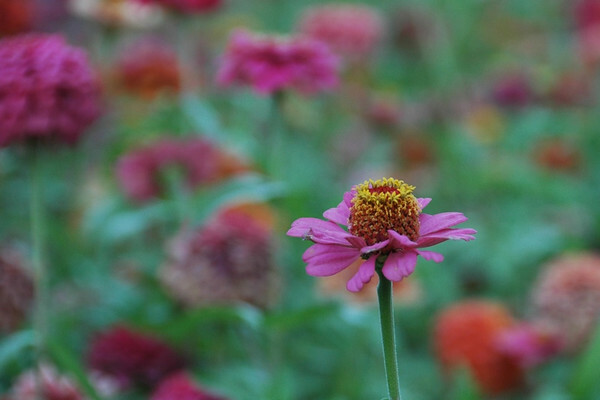 The beekeeper had a beautiful garden full of bright flowers. We figured these are the key to his tasty honey. Taken in Khorog, Tajikistan. 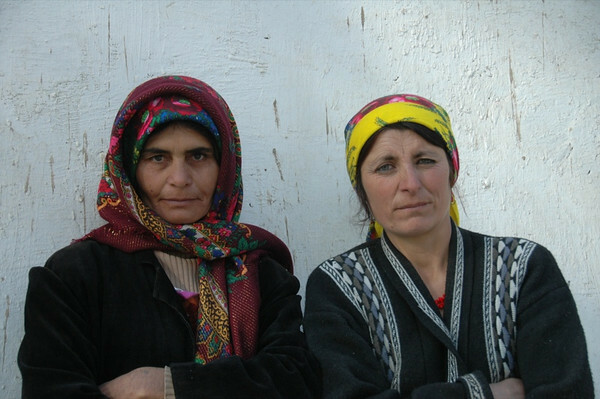 Read about our adventures in the Pamirs. 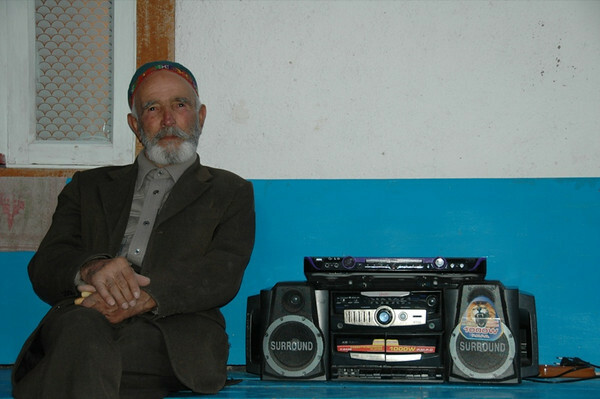 This peaceful Pamiri man looked a bit out of place sitting next to a boom box in Khorog, Tajikistan. He was (figuratively) just begging to have his photo taken. Read about our adventures in the Pamirs. 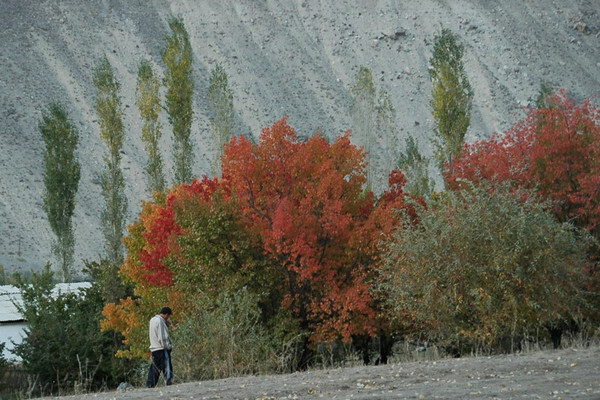 We were blown away by the range of colors - reds, oranges, and yellows - of the trees in Khorog, Tajikistan. Read about our adventures in the Pamirs. 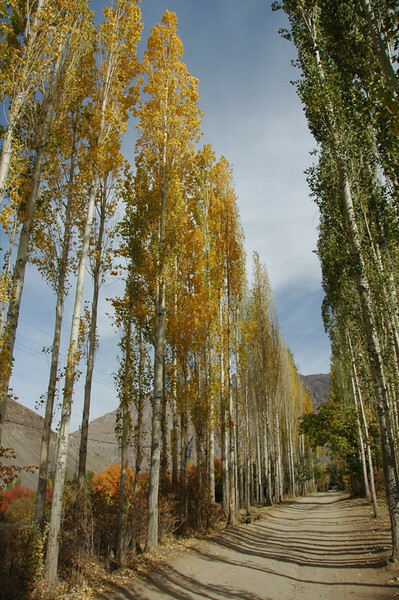 A row of poplar trees lines our way back to our guesthouse in Khorog, Tajikistan. 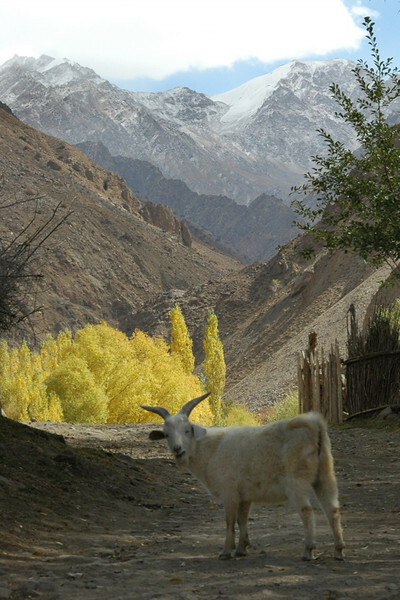 Read about our adventures in the Pamirs. 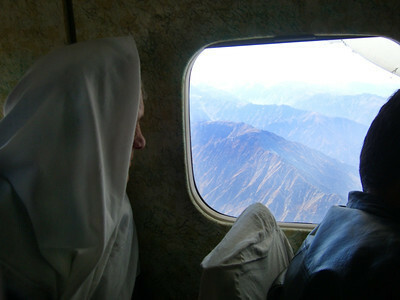 A grandmother watches the mountains go by at VERY close range on the flight from Khorog to Dushanbe, Tajikistan. We hope the pilots still get danger pay for this route, as they did under Soviet times. Not only do they deserve it, but the passengers do, too. We were told afterwards that the maximum elevation of the flight was 4,200 meters (but some of the mountains around were 5,000+ meters!) with a speed of 350 km/hour. The pilot swore the closest we got to the mountains was 300 meters, but it sure looked and felt A LOT closer than that! Read more about and see the video from this beautiful and terrifying flight. 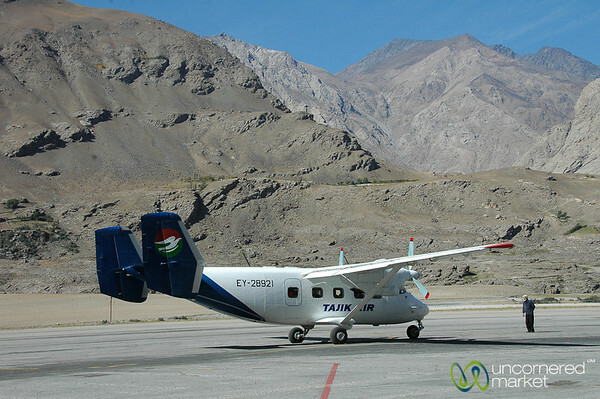 This Tajik Air AN 28 is ike a lunchbox on wheels with wings. When we first saw this plane, we thought "Phew! Glad we're taking a car to Dushanbe." When none of the drivers were working during the holidays (end of Ramadan), we had to resort to flying on this plane from Khorog (Pamir mountains) to Dushanbe in Tajikistan. Read more about and see the video from this beautiful and terrifying flight.